Animal Friends Croatia its big project named "I Love Animals" for which a band aid has gathered consisting of famous Croatian performers. 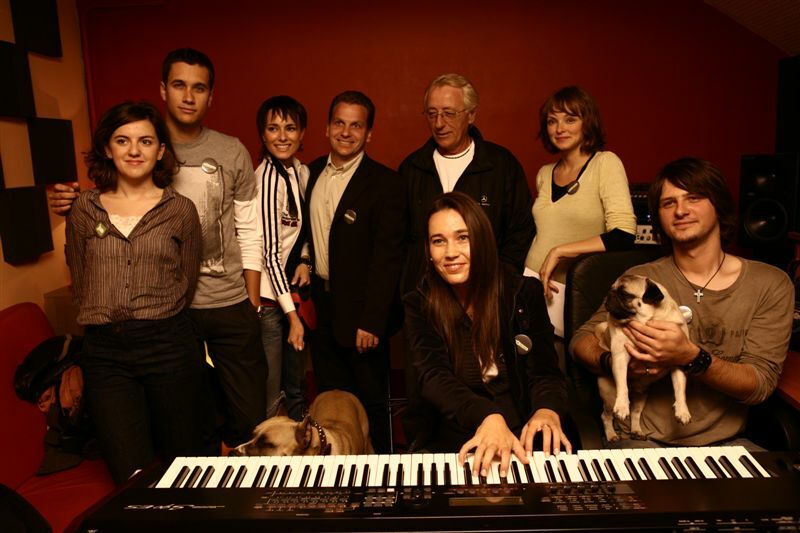 The text and music for the song "Nema isprike (No Excuse)" was written by Lea Dekleva, who will together with Croatian singers and actors give her voice for animal rights and protection. The project "I Love Animals" is humanitarian in character and the goal is, besides drawing attention to animal rights and protection, to help build a shelter for abused animals. All members of the band aid will sing the song "Nema isprike (No Excuse)" free of charge, with the wish to do something for a better relationship of people and other animal species and with a hope for a better future for all residents of this planet. In consideration that Croatia needs a better education in regards to animal rights, and that there is a large number of abused animals with examples that can shock and horrify, the charity project "I Love Animals" and the song "Nema isprike (No Excuse)" came as hope for those that can't speak for themselves. This positive attitude tries to inspire everyone to make changes in our relationship to animals, and also to help build a shelter for abused animals so that after pain and suffering they can experience a bit of respect and love. Media representatives are invited to join the recording of the song and video which will be held on Monday, November 29, at 3 P.M. in Studio dB, Heinzelova 25, Zagreb. The creators and leaders of the charity project are Lea Dekleva and Isabela Bonyaj, members of Animal Friends. On the creative and media sector a great contribution is given by the TBWA agency Zagreb, the agency for media rent PHD, and the marketing company b.i.p.. The video will be produced and directed by Vanja Vascarac.